Can you give more info about this solution? I tried but my code is not running. My issue is like this – AX server run on 64 bit, other db on 32. When i try to connect to other system with 32bit DSN it gives me that error. 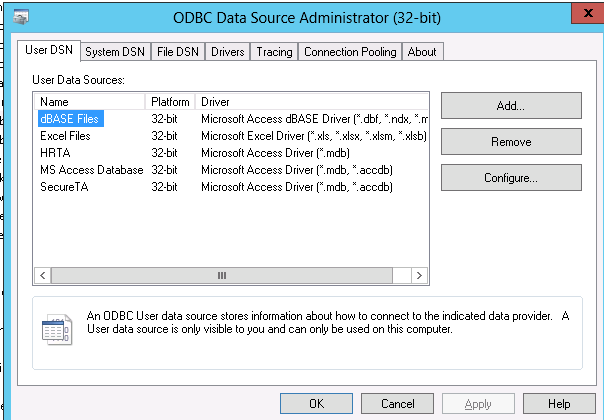 did you put the CLIENT identifier on method that contains the ODBC connections code ? my class was intended for Batch purpose. so after i modified the identifier to client. then i did incremental CIL. i dont know why it’s not working for you. 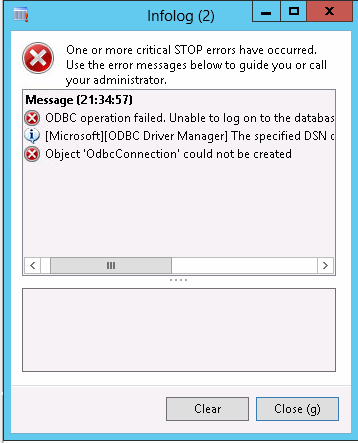 maybe you should check the ODBC driver on batch or AOS server itself , make sure it is on 32Bit. but for me, it solved the error and ran without problem.